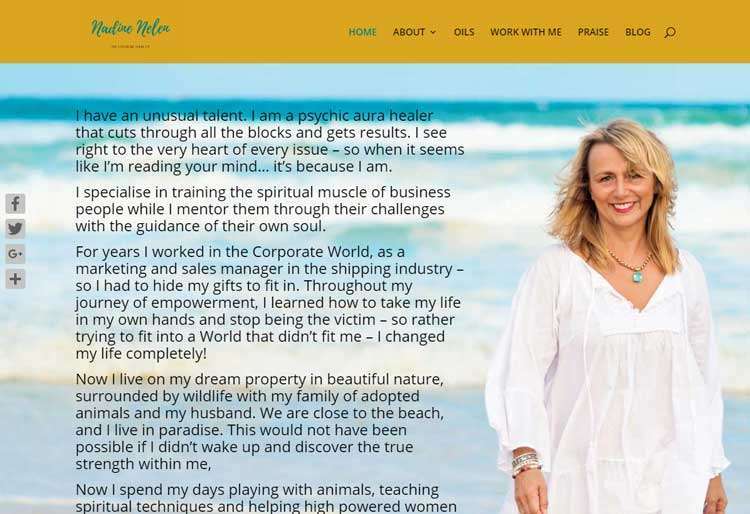 Nadine Nelen shares her engaging story with the purpose of helping you take a closer look at your own fears and dreams, and break free from your own struggles. “The key,” says Nadine, “is to know when and how to turn this around. The mind can be trained to pick up on this self- destructing behavior, as well as to install new and healthier habits than beating oneself up. Nadine also has her own very unique style of art work. You can see some of her latest abstract artwork on her website in the Art Gallery. Check out Nadine’s meditation videos to help you to feel Happy!